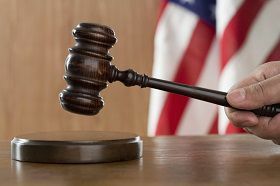 A judge may make a divorce decree that sets matters like child support and alimony in your military divorce. However, life circumstances may happen that make the original divorce unreasonable. Therefore, modification may be necessary. Income. Perhaps the most common reason for a divorce modification is a change to your income. For example, if you lose a job or your partner receives a significant raise, you could request a modification based on income. Relocation. If you or your former partner move to a different location with a different cost of living, your military divorce lawyer in Richmond may argue that this warrants a change to the divorce decree. Financial Needs. As your children get older, their financial needs will also change. A child going to private school or requiring expensive orthodontic work may necessitate a different divorce decree. Keep in mind that relatively minor changes to your circumstances will not justify a modification. Instead, your lawyer will generally need to show a substantial change based on the circumstances. You may need to prove your changed circumstances in family court. Like other aspects of the divorce, may need to support the modification in a court trial with evidence and perhaps even expert testimony. Because this can be an expensive process, a less formal resolution may be an attractive option. For example, you could seek a mediation or other alternative dispute resolution to address the issues. You will want to talk to an experienced attorney to learn more about the appropriate process for your case.